At Solidres, we’ve spent a lot of time to research and improve the overall booking UX, after successfully added 02 new layouts for accommodation booking about 1 year ago, now it is time for a change in Experience plugin. 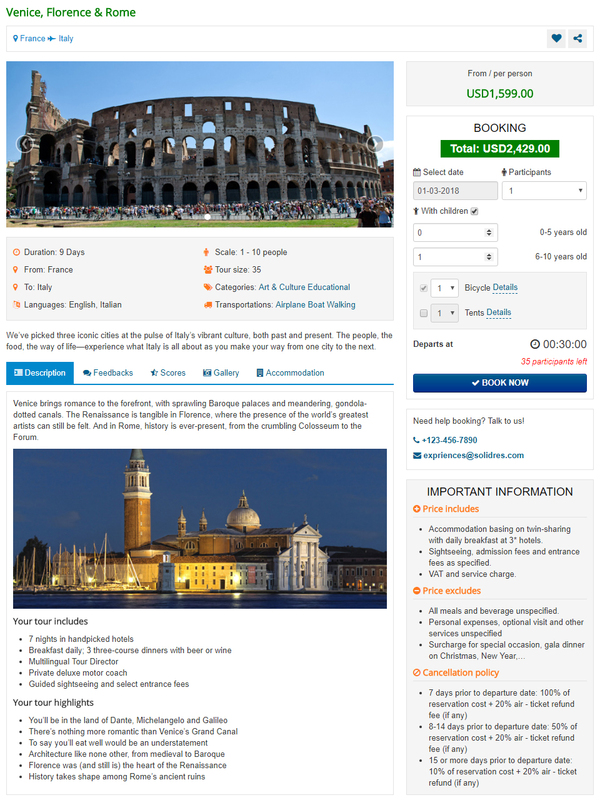 Our research found that users have different ways to interact with the accommodation and experience booking engine, that’s why we came up with different layouts for them right from the start, but of course there is still many rooms for improvement and in the below screenshot you can see the latest layout for experience booking. The new layout is optimized for responsive and removes most unnecessary spaces in your site, it also has a new simple slideshow at the top to show different picture about your experience item to attract your visitors. We also add wish list and social network sharing feature just like our Hub plugin (this feature is available for Hub subscribers). The new layout will be available in next Experience release v1.0.0, please stay tuned! Please welcome Sherry, our first brand new Joomla template for 2018, it is also the second Joomla template made for our Restaurant Management System (RMS) component. It has a clean and elegant looks, fully responsive and support our RMS component out of the box. 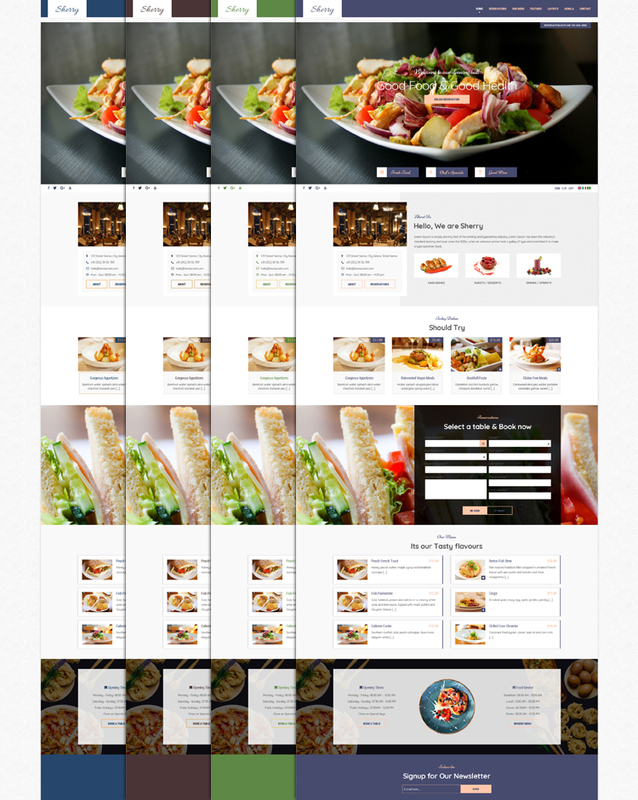 With Sherry and Brandy, you will have fully functional and ready to use restaurant website with minimum efforts. Like Brandy, this template comes with the Photoshop design file, a HTML documentation, template installation package and quickstart package. All subscribers can get a 35% discount when purchasing the new Sherry template.